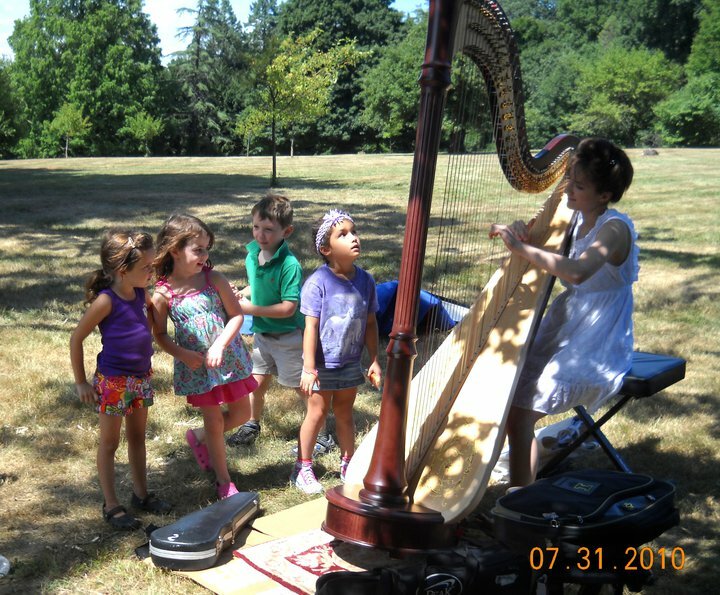 Hopefully you’ve been following harpist and From the Top alum Anna DeLoi’s summer Arts Leadership project – she got together an ensemble and has been touring, raising money for CureSearch. You can read more about her ensemble, Heartstrings, and what they’ve been doing this summer here. We just got an update from her on Heartstrings‘ ideas for the fall, which we’ve shared below. We’re considering lots of fun ways to continue and expand what we’re doing; maybe a program mixed with an instrument-petting-zoo, so that kids can get more involved, and see that they can do more than listen to us make music – they can make music themselves! We want to help them create lasting relationships with music, because we think it is an amazing gift to have in your life. And this summer has shown us that children really can get excited about classic music, if they are exposed to it. You should have seen the kids at the last event we played – they were genuinely excited to sit and listen to piece after piece. One little girl came up to us with an amazed expression on her face and said, “You make the prettiest sounds I’ve ever heard”. She proceeded to sit on the ground in front of us and listen for about 20 minutes, before her parents told her it was time to leave, when she blew us a kiss goodbye. I honestly wanted to jump up and put an instrument in her hands, because I just knew it could be something she’d love for the rest of her life. Stay tuned, as we will continue to update you on Anna and Heartstrings‘ plans! You can also check out their Facebook page here.